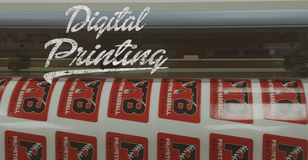 We are ready to print your design or logo on any product you can imagine. T-shirts are a favorite, but we can print on sweatshirts, aprons, bags, window decals and much more. Check out our product catalog to view the hundreds of options and colors available to you. Are the options a bit overwhelming? Feel free to give us a call to discuss your options. If you already have a good idea of what you want, please submit a quote request along with your graphic, and we’ll reply to you with a quote. 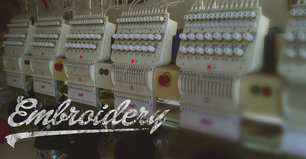 Our seven-head embroidery facility is equipped to handle jobs of all sizes and shapes. From corporate apparel and dress shirts to hats, towels, and school spirit packs -- we offer it all. 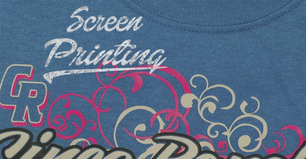 Our graphic artist, has 20+ years of experience in creating custom artwork for screen printing. Let us create a unique and customized logo that you can be proud of. Get a free estimate! In need of embroidery / screen printing? STITCHIT is an officially licensed provider of National Charity League t-shirts. We offer a complete collection of NCL shirts for all your chapter events and socials. Let our amazing art design team help you bring your big idea to life. All designs are customizable and designed to make your t-shirt chair look like a superhero. For truly amazing art and customer service, you can count on us. All designs copyrighted: 2018 STITCHIT.